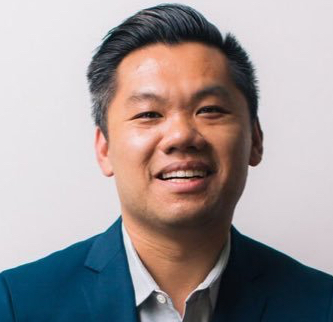 Andrew Chen is a General Partner at Andreesen Horowitz and formerly led the rider growth team at Uber. Determining your customer acquisition cost (CAC) — the cost to acquire a customer — is imperative for generating a positive return on your growth campaign. Understanding customer-acquisition-cost is important for both direct and indirect monetizing products. For products that directly monetize their audience, such as ecommerce, subscription services and so forth, it often makes sense to rely on paid growth campaigns to reach your target customer. However, carefully tracking the effectiveness of your campaigns based on CAC is essential. The reason being that, although there are 100s of millions of internet users, only a small fraction (usually <1%) will be in-market for your services at any given time. As a result, you are aiming to optimize as much as possible as not to waste energy – and capital – on those outside your target user. It’s also important for ad-supported products and apps to understand what it means for ad inventory to perform or not perform, so they can sell chunks of their audience that better serve their advertiser customers. This is at the heart of indirect monetization. If you’re not selling directly yourself, you’re helping someone else sell. In this article, we’ll explore how to set up any paid campaign or paid strategy. We’ll then dive into the two tactics to execute upon the strategy. In order to be profitable, your CAC needs to be lower than your customers’ average lifetime value (LTV). In other words, the amount you spend on acquiring a user needs to be below the amount of money said user is estimated to spend during their lifetime as a user of your product or service. You can get an estimate of your overall profit (pre-infrastructure, etc) by subtracting LTV from your CAC. Profit = LTV - CAC. The only difference between a good CAC and a bad CAC is whether it’s above or below your customer LTV. For instance, if it costs you $200 to acquire a customer and on average, the LTV of your customers is $300, you have a positive CPA. In this hypothetical example, 1 million ad impressions were bought on Google for a cost of $5,000 dollars, which resulted in 500 new users. The CAC (cost divided by number of customers) is therefore $10 dollars. Using the same model to assess the Ad.com campaign, the CAC came out to double that, at a whopping $20 per user. Let’s take it a step further by thinking about profit (pre-infrastructure). Profit = LTV - CAC. For this product, each user is estimated to have a LTV of $15. If the CAC through the Google campaign is $10, then you are left with a profit of $5. But because the CAC of the Ad.com campaign exceeds the LTV of the user, you end up with a loss of $5. Another way of looking at this profit calculation is LTV/CAC, or the ratio of lifetime value to customer-acquisition-cost. This can help you assess on a per customer basis what revenue multiple you need to be bringing in. Usually people target an LTV/CAC of 3X, as that leaves room for all the other costs of running a company and results in good margins. An LTV/CAC of 1 for instance would indicate there is no profit to be gained from the campaign. A caveat to LTV/CAC is that while high multiples are good for businesses, this is primarily over the long-term. If you are startup trying to get initial traction for instance, having a low LTV/CAC ratio may be permissible over the short-term. Now that you have a basic overview, let’s apply it to your product or service. Step 1: Break down your user acquisition funnel, from start to end. You want to break down your funnel into as small of steps that make sense, from the clicks into the signup page into any intermediate profile forms and then the final registered numbers. Decide what are the most important steps to track. Your funnel may be larger or smaller than the example chart above. Step 2: Determine important metrics. ‍The important metrics you need to track are determined by how you are being charged (CPC, CPM etc). For example, in a cost-per-impression (CPM) model, you want to track the click-through-rate (CTR). This is because, regardless if your ad is clicked on or not, you are paying for impression. Determining your CAC is now quite simple. CAC = Cost/Customers. In addition to tracking your ads, consider grouping all your marketing channels into the chart, including email, partnerships, blog traffic, viral invites, and more. For stuff that’s free traffic, the CAC is infinity, but it’s good to know what kinds of funnels the other traffic throws off, for comparison’s sake. There is no CAC (cost 0), but its still useful to include the free channels in the source to have a full breakdown. Moreover, the last thing you want is a variation of an ad that is very unprofitable, but is obscured by being grouped together with successful ads. To avoid this, you may also want to track important factors like what creative was used, the banner ad size, and other things that might affect CAC. Seize the opportunity to personalize the content your customers see with these tactics. Understand how to build a high-growth business that produces actionable and informative data. How to thoughtfully design and analyze pricing tests to ensure you maintain a great user experience while driving monetization.